Parental Engagement is a must in my book. Right from the very start of the year, I feel the need to connect with the teachers for both of my boys. I begin the introduction on the second day via email. I want them to know that I know education is a group and community effort! We must all take part in the future of our children. 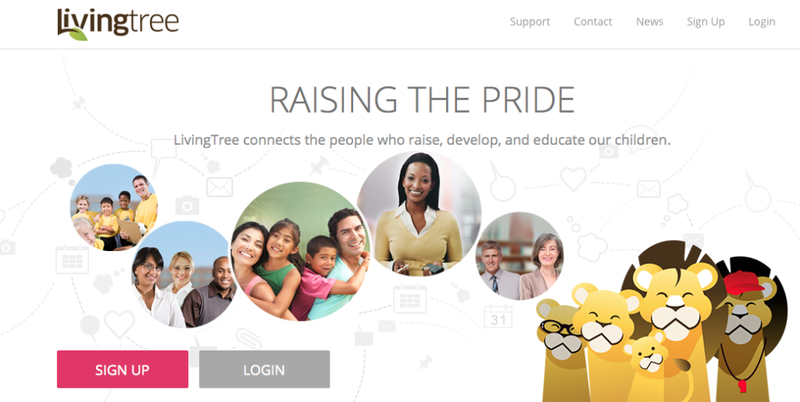 You can see that LivingTree took all parties into consideration when they created their private, secure platform to serve us all. LivingTree included states, school districts, schools, classrooms and parents when they provided a single place to engage all members of your child’s education in over 40 languages. How’s that for taking all cultures and countries into consideration? That’s detail!! Being involved in my child’s education right from the start allows the teachers to see firsthand how important their education is to me. LivingTree provides that opportunity as well, helping those teachers to see that I am my child’s advocate and I will assist them to get them what they need to succeed! Had I not been involved in my child’s with special accommodations education right from the start, he would have been misplaced on his very first day of school! Dropping him off at school enabled me to see firsthand how important it is to be involved and the need to be that “up close and upfront parent”. I had to inquire why he was placed in the wrong classroom and then they had no clue that he had an IEP (Individualized Education Plan). What would have happened had I not dropped him off and walked him in that morning? This is why being present in the lives of our children and their education is so important! As a Latina, I only wish LivingTree had been around for my Puerto Rican mom who struggled a bit with the English language. I am happy that now there are no excuses or barriers and all parents of all languages can be a part of their child’s education through LivingTree’s mode of engagement.What I absolutely love about LivingTree is the selection of features – private and secure content posted in multiple languages, options for text messages, file sharing, managing calendars, sending invites/alerts for events and activities, volunteer sign up, sharing and posting videos and photos in addition to providing access to contact information for direct group and individual communication. I could go on about LivingTree but you can check them out yourself by heading over to their website for more information.